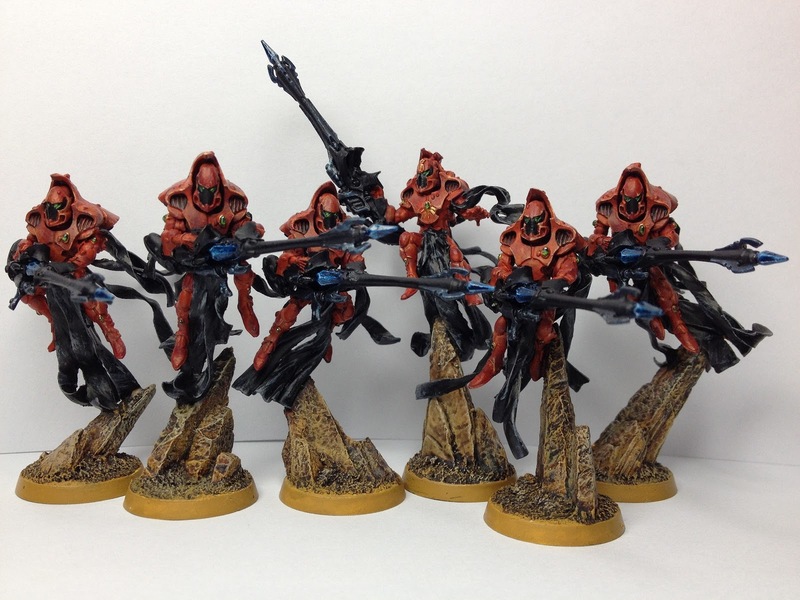 A few Shadow Spectres with their Exarch. 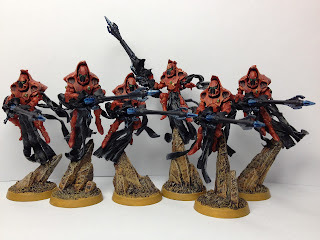 Not the best Paint Job ever but I had a good time painting them. - Armor Merchrite Red, quick Blood Red on top, Dry Brush of Scab Red, Edge highlighted first with a Blazing orange/Yellow/White mix on the orange side, a second time with a whiter mix. - Rifle Chaos Black, Prisms are then Dry brushed on the edges with Regal Blue, then Enchanted Blue, Ice Blue and Skull white, used some gloss for the finish. Vanes on the side received a Mithrill Silver dry brush following by a wash of Asurmen Blue. - Gems are Dark Angel Green, Goblin Green, Scorpion green with a white skull dot. 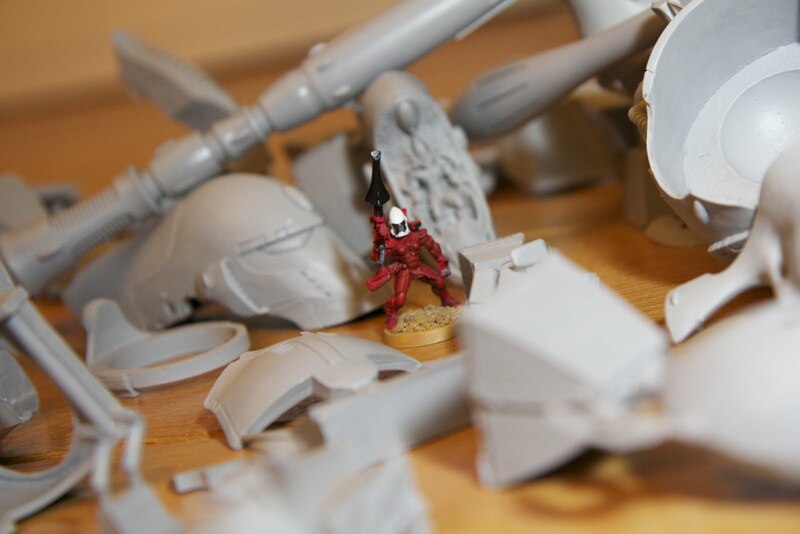 Quick update on the Eldar Phantom Titan. It's now been cleaned and primed. I received the special long drills I ordered so I will be able to insert those long 3mm brass rods I have. 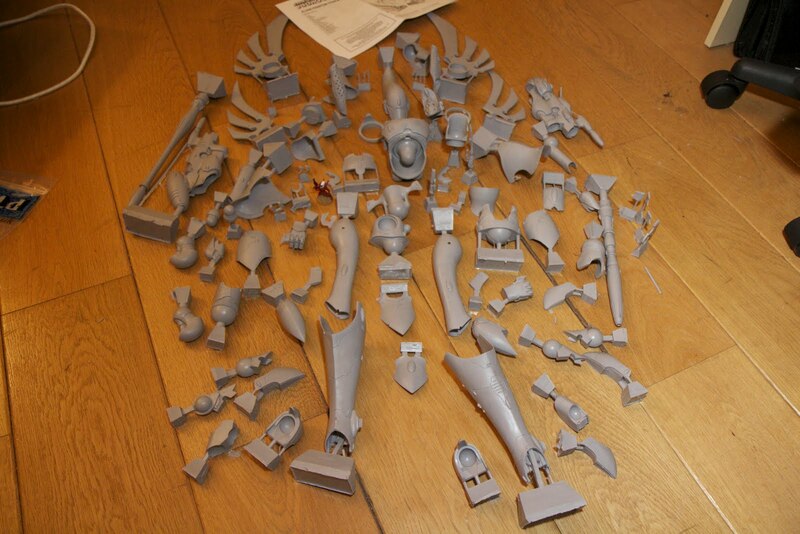 I also received the resin kit so I can mold the base, none of the hobby site I know being able to provide quite what I wanted. Until more pics of the current assembly, here's some pictures of the soap cleaning just giving an idea of the cheer amount of pieces involved here. We had this great game at Warhammer World in Nottingham a month ago... About 150,000 points on the table between the 19 of us.